Are you trying to eat healthier and steer towards more whole foods? At first the task can seem daunting, but the truth is there are ways to eat healthier, whole foods without going broke. If you want to how to eat whole foods on a budget, take a look at these money saving tips below. You will be pleased to find that you can enjoy whole foods without breaking the bank! 1. Buy what’s in season. Buying produce that is in season will always cost you less than buying out of season. For example, during your fall months you will find apples and squash at the lowest prices. In the summer, strawberries and melons will be priced at their lowest. Shop produce according to what is in season and save. 2. Learn how to dry/freeze produce. When you find produce at a great price, buy it in bulk so you can freeze and dry a portion for later. You can always use frozen produce in smoothies and dessert recipes, while dried produce is great for snacking or use in stews. A simple dehydrator or freezing trays are all you need and the process for both is fairly easy. Checkout My Recent Produce Purchase that I posted on Instagram. You can Follow Me on Instagram Here. 3. Plan your shopping trips ahead of time. Use the sale flier to plan your shopping trips ahead of time. This way you can set your budget, see what items are on sale, and plan your strategy around those items. Creating a list and not straying from it can help you stay on track. Use your favorite food bloggers to find menu ideas and plan each week out ahead of time. This will help you find focus, and you can use the fliers mentioned above to plan a weekly menu that stays within your budget. You can Download our FREE Aldi Meal Plan Here. 5. Write to companies for coupons. Do you have favorite whole food brands? Send them a quick email via their website and let them know you are brand loyal. Ask them what savings may be available to you and see if they are willing to send any samples or coupons your way. Shop stores that give you the option to buy items you use in bulk. Whether it be granola, nuts, dried goods, or baking mixes, buying in bulk will always save you in the long run. Having items on hand at home also saves you from making impulse purchases should you need to run out for more. Keep an open mind to various brands and varieties of foods. By being brave and trying new items you may find something you like that is also in your budget. 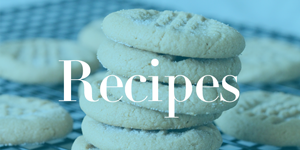 Get food and recipe suggestions from friends or favorite whole food bloggers as well. You don’t have to go broke trying to feed yourself and your family healthier and whole foods. Give these shopping strategies a try and see what a difference they can make. Take our FREE 7 Day Savings Course! You can learn how to SAVE 50-70% on your Grocery Bill!